Perth Hacks - best tips, hints and bargains: How Will You Survive Perth's 43C Saturday? 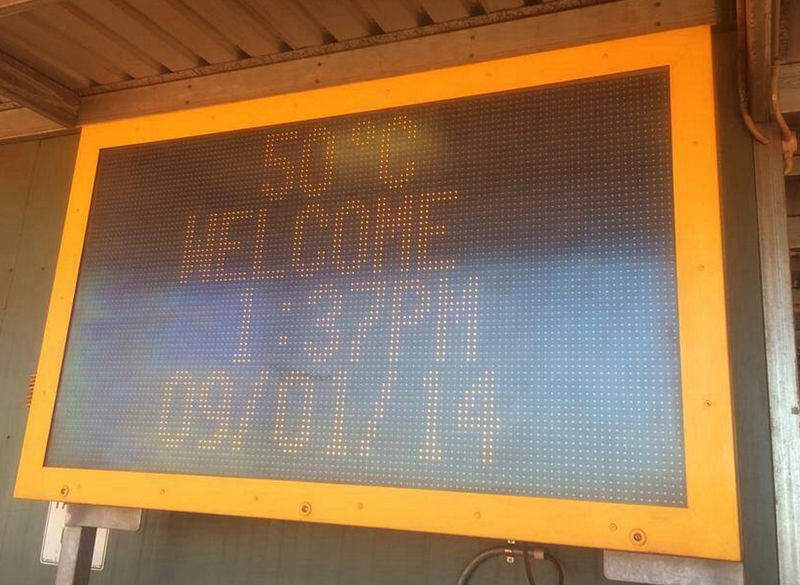 Perth is expecting 43C on Saturday but today in a mine site in Panawonica, the temperature has already hit 50C at 1:37pm. The question for all of Perth is how we will survive this Saturday? Will we be heading to shopping centres or the beach? Or is the forecast enough to justify the purchase of an air conditioner in the next few days? The Bureau of Meterology is concerned about how Perth will cope and have issued the following tips. • Drink plenty of fluid (not caffeinated, energy or alcoholic drinks). • Find a cool place, in the shade or in a well ventilated shelter with fans or air-conditioning. • Cool down periodically in water (swimming pool, bath or shower). • Wear lightweight, light-colour, loose fitting clothing and head protection. • Limit physical activity and avoid exercising in the heat of the day. • Apply effective sunscreen (SPF 30+) if outside. • Monitor the colour of your urine (dark yellow is bad, clear urine is good). • Remember “Slip, Slop, Slap” at all times when outside. • Call an ambulance on 000 for life threatening signs. • Rest in a cool well ventilated area. • Drink plenty of fluid (consider clear juice or low sugar sports drinks). • Apply cool wet cloths to skin.